Set of three plastic push-on control knobs designed to fit 1/4" split-shaft potentiometers on nearly all U.S.- and Mexico-made Stratocaster models manufactured from 1954-present. Need to replace a missing knob? Fender has what you need straight from our U.S.-made instruments. 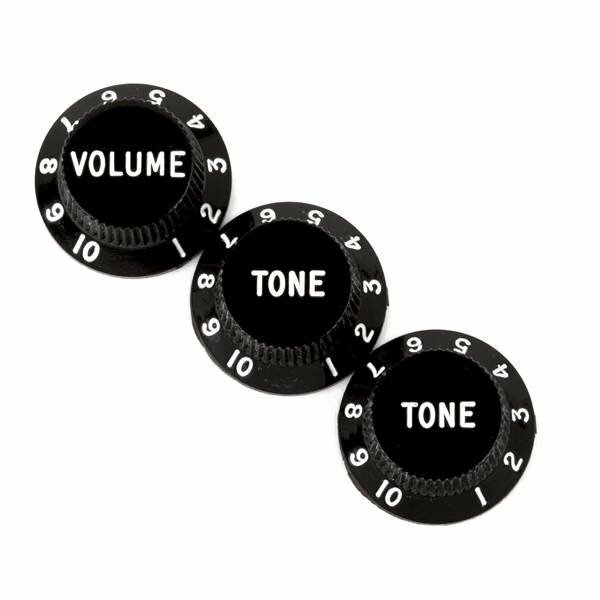 Set of three plastic push-on knobs designed to fit 1/4" split shaft controls. Fits nearly all Stratocaster models (US and Mexico) produced from 1954-Present.